This badge has been designed by MollyMoo and if you click it, it will bring you directly to the Irish Parenting Bloggers list on Facebook. This is a public list, so anyone can subscribe to it. Once you subscribe to the list, you can see updates from all of the Irish Parenting Blogger pages that have been added. Right now, I’ve got 14 bloggers on the list. 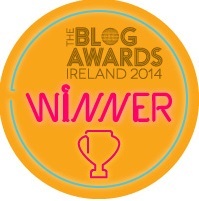 If you know of any more Irish Parenting Bloggers who should be added, just let me know. All I need is a link to their Facebook page to include them. As well as the public list, we’ve started a friendly parenting bloggers community. The community is a private Facebook group where parenting bloggers can discuss post ideas, share links, ask technical advice, and arrange get-togethers. If you are Irish or are living in Ireland and you have a parenting blog, and you’d like to join this group, just email your name and your blog URL to me (Lisa[at]mama.ie) and I’ll add you in.